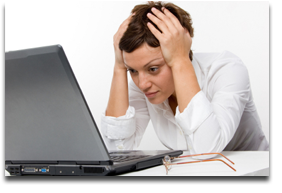 At Freedom Computers, we can sympathize with how frustrating it can be when your computer is not working correctly. We know that many people are uncomfortable with computer technology and that it can be hard to find a good computer company that knows what they are doing and that treats their customers fairly. We will make an extra effort to accommodate you in any way we can. If you need to use your computer during business hours, we'd be happy to come to your location to work on your computer after hours. We know how stressful it can be when a computer is down, which is why we do our absolute best to get your computer up and running as fast as possible. When you call to make an appointment, we can usually have a technician at your location within a day, and we get most repairs done on the spot right then and there. Affordable Prices - Freedom Computers operates on a strictly mobile basis which enables us to offer very aggressive and competitive prices. 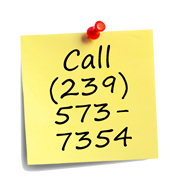 We charge a flat rate for all repairs, so you'll always know upfront how much something costs. Fast Service - We can usually come to your location within a day from the time you call to make the appointment. Most problems can be fixed on the spot at your location. If for any reason your computer would have to be taken back to our home office, it is typically delivered back to you within a day or two. Honest Quality Work - We get the job done correctly the first time! We are computer repair technicians. We are not salesmen. We don't try to talk you into anything you don't need. We will only replace parts if they need to be replaced and we don't overcharge on them. You Won't Lose Data! - If your computer is infected with a bad virus, or if Windows is not starting, or if your computer is extremely slow, and there is nothing physically wrong with your hardware (meaning your hard drive is still working properly), we will most likely be able to fix your computer without you losing any data! Many other computer repair shops fix computers by wiping the hard drive and reinstalling windows from scratch, causing all your data, programs, and personal files to be lost! 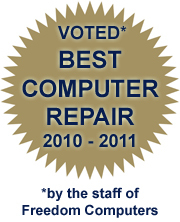 Freedom Computers specializes in removing viruses and repairing Windows without you having to lose any files, so that your computer will be just as it was before it had a problem.